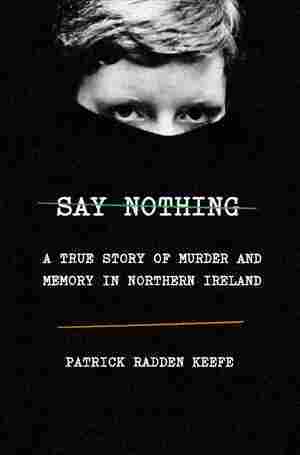 Say Nothing NPR coverage of Say Nothing: A True Story of Murder and Memory in Northern Ireland by Patrick Radden Keefe. News, author interviews, critics' picks and more. THE CROCUSES WERE ALREADY in bloom around London's parks and monuments on March 8, 1973. It was a Thursday, a crisp, crystalline early-spring morning. After a wet English winter, people were venturing outdoors, beckoned by the sun. The Queen left Buckingham Palace to inspect the first blooms in her garden. There was a transit strike that day, and with train service suspended, commuters were forced to drive into the city. As a result, central London was overrun with automobiles. In order to accommodate the surge of vehicles, the city had suspended parking restrictions for the day. Cars were everywhere—in loading zones and other areas that were usually off-limits, or at meters that had long since expired. Just after lunchtime, at around 2 p.m., a phone rang at the headquarters of The Times of London. A young woman named Elizabeth Curtis, who had just started working on the news desk at the paper, picked up the call. She heard a man's voice, speaking very quickly, with a thick Irish accent. At first she couldn't make out what he was saying, then she realized that he was reeling off the descriptions and locations of a series of cars. He spoke for just over a minute, and, though she was still confused, she transcribed as much as she could. Before hanging up, the man said, "The bombs will go off in one hour." A journalist named Martin Huckerby was on duty that day in the newsroom. He overheard Curtis dictating details about the bombs to one of her colleagues. The nearest of the locations she mentioned was the Old Bailey, the central criminal court in London, just a short walk from The Times. Huckerby bolted out of the office. He was looking for a green Ford Cortina Estate with a license plate that, assuming Curtis had transcribed it correctly, read YNS 649K. Huckerby left the office at 2 p.m. and arrived at the monumental stone courthouse a few minutes later. Built at the turn of the century, the Old Bailey had been the site of many celebrated trials. A great dome sat atop the heavy masonry, with a bronze figure of Justice, her arms outstretched, holding a sword and a set of scales. Dozens of cars were parked around the building, and Huckerby began checking them to see if he could find the Cortina. Before long, he spotted it, parked right in front of the courthouse: a green Cortina Estate with the license plate YFN 469K, close enough to what he was looking for that he was sure this was it. Peering through the glass at the car's interior, he saw a pair of black gloves on the floor and an aerosol can. Huckerby waited for the police to come, and eventually, after what seemed like an eternity, two uniformed officers arrived at 2:33 and inspected the Cortina. They started evacuating people in the area, cordoning off the road. Huckerby took cover in a doorway, about twenty-five yards from the Cortina, and waited. The plan to bring the bombing campaign to England had been, at least in part, Dolours Price's idea. The IRA had detonated hundreds of bombs in commercial centers throughout Northern Ireland. If the goal was to cripple the economy, this effort had been a success. But the collateral damage was considerable. For civilians in Northern Ireland, whether Catholic or Protestant, the routine bombings could make life impossible: suddenly you were taking your life into your hands when you went to the shop for a dozen eggs. It might not have been the intention of the IRA to create civilian casualties, but there were civilian casualties, lots of them, and they were borne by Catholics and Protestants alike. Bloody Friday was an especially grave debacle, but it was hardly unique—countless smaller bombing operations had claimed limbs and lives, steadily eroding support for a violent campaign among moderate Irish nationalists. Worst of all, because the toll of all this bombing was largely confined to Northern Ireland, it did not appear to be registering all that strongly with the intended target—the British. The English public, removed on the other side of the Irish Sea, seemed only dimly aware of the catastrophe engulfing Northern Ireland. It was a case study in strategic insanity: the Irish were blowing up their own people in a misguided attempt to hurt the English, and the English hardly even noticed. It bothered Price. "This is half their war," she would say to Wee Pat McClure, the head of the Unknowns, as they sat around call houses between operations. "Only half of it is our war. The other half is their war, and some of it should be fought on their territory." She became convinced that "a short, sharp shock—an incursion into the heart of the Empire—would be more effective than twenty car bombs in any part of the North of Ireland." After making the case to Seán Mac Stíofáin, who approved of the idea, Price worked with McClure and Gerry Adams on an initial plan, to firebomb London. The firebombs were made and smuggled into London, and the idea was that a team of girls would fly over and deposit them in department stores on Oxford Street. But before they could put the bombs in place, they discovered that the acid in the devices had leaked, ruining them. So Price, who was already in London, abandoned the mission and walked down to the banks of the Thames, where she gently slid each faulty bomb into the river. When firebombs didn't work, they resolved to plant car bombs instead. The idea took shape within the Belfast Brigade. When it came time to recruit a team for the mission, volunteers from different units assembled at a call house in the Lower Falls. Gerry Adams explained that they were planning a very dangerous job. Any volunteers who signed up for it would have to be away from home for a while. As Adams spoke, Price sat perched on the arm of his chair. In the interests of operational security, Adams was vague about the mission when he spoke to this larger group, offering few details, but he stressed that anyone who participated must be prepared to face the full wrath of the state. "This could be a hanging job," he said. "If anyone doesn't want to go, they should up and leave now." He instructed them to exit through the back door, at ten-minute intervals, so as not to attract attention. Price thought Adams was being melodramatic. She suspected he might have picked up that flourish about ten-minute intervals from a book about Michael Collins. But, sure enough, people started to get up and walk out. "Don't knock me down in the rush, lads," Price said drily. When this small exodus had concluded, about ten people remained: there was Price's friend and fellow Unknown Hugh Feeney. He was erudite, bespectacled, in his early twenties. Feeney would be the quartermaster, in charge of all the money for the operation; he was armed with a thick roll of five-pound notes. There was Gerry Kelly, a handsome young man from the Lower Falls, whom Price was meeting for the first time. Kelly had been on the run, after escaping from prison, where he was serving a sentence for bank robbery. Price thought he was a grand lad. And there was Marian, of course. There was always Marian. They were all very young. Kids, really. The oldest member of the crew, William Armstrong, a window cleaner with slicked-back hair, was twenty-nine. The youngest member was Roisin McNearney, a wide-eyed eighteen-year-old. She had been working as a typist before she joined the Provos six months earlier. She still lived with her parents. As head of the Unknowns, Wee Pat wanted smart people running the operation. So he selected Dolours to take the lead. She was appointed, in her own words, "the OC of the whole shebang." Reporting to her would be two lieutenants—Hugh Feeney and Marian Price. None of the recruits had any experience serving behind enemy lines, so Wee Pat arranged for them to go across the border for intensive training with explosives and timers. As Aunt Bridie could testify, bomb making in the IRA was a hazardously inexact science. Brendan Hughes would tell stories about his great-grandfather, who, during the War of Independence, was trying to throw a grenade at an armored car when it detonated and blew his arm off. Bomb making had improved dramatically in recent years, because the Provos had taken every opportunity to practice. It was not that IRA volunteers no longer blew themselves up with their own bombs, which they continued to do. Rather, as one writer observed, these mishaps came to function as "a gruesome form of 'natural selection,' " weeding out the incompetent bombsmiths. Those who survived took greater care, and eventually the Provos produced some legendary bomb makers. They developed a fifty-page illustrated manual, which apprentice explosives specialists could study. It provided instructions on how to make booby traps using a remarkable variety of household implements—candle grease, clothes-pegs, a nail bomb made from a beer can, a soda straw used as a fuse. The car bomb, which was first introduced to the conflict in early 1972, represented a terrifying departure, because up to that point the size of most bombs had been limited by the sheer weight of explosives that a few paramilitaries could carry. Hiding the bomb inside an automobile meant that you could prepare a massive payload, then simply drive the device to the target and walk away. Whereas a suitcase or a plastic bag left in a busy shop might attract attention, cars were the perfect camouflage, because they were everywhere. "The car bomb provided an efficient container and an efficient delivery system," Seán Mac Stíofáin wrote in 1975. "It yielded far greater administrative, industrial and economic damage for a given operation. And it required fewer volunteers to place it on the target." In the streets of Belfast, an empty, unattended car became, all by itself, a source of terror that could prompt people to flee the area and authorities to descend, whether the car actually contained a bomb or not. In February, six cars were hijacked at gunpoint in Belfast and driven to the Republic. By the time the cars reemerged on the streets of Dublin in early March, they had been repainted and equipped with phony license plates. Ultimately, only four of the cars would make the journey to England: a Ford Corsair, a Hillman Hunter, a Vauxhall Viva—and the green Ford Cortina. Each was carefully fitted with a mammoth incendiary device, more than a hundred pounds of powder explosives hidden in plastic bags, along with a sausage of gelignite. Each payload was concealed beneath the rear seat and was connected by a length of detonating cord to a box under the front passenger seat that contained a timer fashioned from a household alarm clock. About a month before the operation, Dolours Price had traveled to London on a scouting mission, along with Martin Brady, a muscular member of her team with bushy eyebrows, who had worked previously at a restaurant in the West End and knew his way around the city. The Unknowns had selected the targets themselves, before presenting them to the leadership in Belfast for approval. The targets were carefully chosen to "evoke particular political questions," Gerry Kelly later explained. The British public may have become inured to catastrophic headlines from Northern Ireland, but a series of bombs in central London would change all that. Nor was the timing of the operation an accident. They selected the day of a referendum in Northern Ireland on whether the territory should remain part of the United Kingdom. The mission, Kelly felt, was to bring "the reality of colonialism" home to England. On March 5, the group split into two teams. Hugh Feeney led the first team across the Irish Sea, driving the Cortina and the Viva onto the Dublin–Liverpool ferry. The next day, a second team, led by Marian Price, drove the Corsair and the Hillman Hunter. But when the ferry reached Liverpool and their cars were passing through customs, the Hunter was held up. There seemed to be a problem with the license plate. Martin Brady was behind the wheel, while the young Roisin McNearney sat in the back. The inspectors appeared suspicious that they might be trying to bring a foreign car, from the Republic of Ireland, into the United Kingdom without paying any import tax. As they spoke, McNearney was fidgeting in the back seat, increasingly nervous. She announced that she needed to use the toilet and got out of the car. When she returned a few minutes later, the inspector who had been questioning Brady was called away to deal with a lorry that was impeding the flow of traffic. The young IRA members stayed where they were, unsure what the inspector might do when he came back. But now they were holding up traffic themselves, and another customs official impatiently waved them through. According to the original plan, the two remaining stolen cars were supposed to follow on another ferry, bringing the total number of bombs to six, but after the scare at customs, the team sent a message back to Ireland instructing their colleagues not to send the last two cars, in case the authorities had been tipped off. As the leader of the group, Dolours Price did not take the ferry. She flew from Dublin, under an assumed name, Una Devlin. By Wednesday, March 7, the whole crew had filtered into London, left the cars, with their hazardous cargoes, in public garages, and checked into different hotels. The plan was simple. Early the following morning, the team would drive the cars into position at four locations in the city: a British Army recruiting center in Whitehall; the British Forces Broadcasting Service, on Dean Stanley Street; New Scotland Yard; and the Old Bailey. A telephone warning would be issued in advance. Mindful of the disastrous civilian toll on Bloody Friday, the team had been given orders to avoid casualties. The warnings would be initiated just before 2 p.m. local time, and precisely one hour later, the alarm clock timers would trigger the detonations. By that time, Price and the others would already be back in Ireland—having returned to Dublin on a late-morning flight from Heathrow. On Wednesday, after they had all checked into their hotels, members of the team did reconnaissance of the locations. "You don't know each other," Price told them. "You've never seen each other before when you meet each other on the street." She added, emphatically, that there should be "no drink involved." Before sundown, Price assembled everyone in the portico of the National Gallery, in Trafalgar Square, to finalize arrangements and to hand out plane tickets for the following day. Then they had the night off. You might suppose that on the eve of a coordinated terrorist strike on a major city, the participants would devote the final hours to anxious preparation. But on account of their youth, perhaps, or the almost hallucinatory fever of their own righteousness, Price and her compatriots seemed eerily detached from the gravity and potential consequences of the mission they were about to undertake. Besides, they were in London, a city more vast and freewheeling than their own. The heart of empire it may have been, but London was also, indisputably, a fun place to visit. So the young terrorists went sightseeing. Roisin McNearney paid a visit to Buckingham Palace. Some of the men defied Price's admonition and went out and got drunk, so drunk that one of them would later have to be carried out of the pub. Price, who was more high-minded, went to the theater, along with Marian. Hugh Feeney ended up joining them but arrived late, because he had wanted to perform one final check on the car bombs. It did not strike any of them as the least bit incongruous that they might go to see a play on the night before a bombing. On the contrary, Feeney figured that, should something go awry the next morning, it might be a while before they had a chance to see any good theater. As it happened, their visit to London coincided with a production at the Royal Court of The Freedom of the City, a new show by the Irish playwright Brian Friel. The play, which was directed by Albert Finney, told a story that was fictional but highly topical, a story that could only have resonated with Dolours Price: three civil rights protesters seek refuge from gas and rubber bullets in the Guildhall, in Derry—the same hall where Ian Paisley and Major Bunting whipped up their followers the night before the ambush on the march at Burntollet Bridge. The play turns on a misunderstanding. While the peaceful protesters hole up inside the Guildhall, on the outside, the press and the British Army come to assume that they are actually terrorists, engaged in an armed occupation. The play was inspired, in part, by Bloody Sunday, which Brian Friel had witnessed personally. It was about the hysteria, the mythmaking, and the misunderstanding that had twisted the peaceful civil rights movement in Northern Ireland into a violent conflagration. The three marchers ultimately die in the play—shot by the British troops. In an echo of the cover-up following Bloody Sunday, a tribunal is assembled to investigate, and concludes that the shooting was justified. This was delicate material for a London audience, and crowds for the show had been sparse, and notably uneasy. One of the three leads in the production, a young actor named Stephen Rea, later remarked that it had been received by London audiences "in a frost of ignorance." Though he was an emerging star at the Royal Court, Rea was a Belfast native himself, a beguiling-looking young man with soft features, quizzical eyes, and a shock of black hair that always looked recently slept on. As it happened, he and Dolours Price knew each other: Rea had studied at Queen's, and they had met during the civil rights movement in the late 1960s. They ended up falling out of touch as she joined the Provos and he became a prominent actor, doing parts in Dublin and Edinburgh before joining the company at the Royal Court. But here Dolours Price was, about to bomb London, watching this dashing, intelligent, intriguing young man play the part of a civil rights marcher who gets mistaken for a member of the IRA. The officers of London's Metropolitan Police rose early that day as well. At 7 a.m., just as the bombers were navigating their cars into position, the Special Patrol Group received a briefing at Cannon Row Police Station, in Westminster, about an impending IRA attack. The officers were instructed to go out and look for suspicious vehicles. In particular, they were ordered to check in the vicinity of likely targets such as government buildings. The transit strike compounded the challenge: at the very moment when they needed as few vehicles as possible in central London, there was instead a tremendous influx. Later that morning, a couple of constables were patrolling the area around Scotland Yard when they noticed a green Corsair with no tax disc. As they examined the vehicle, they discovered that it was a 1968 model but had 1971 plates. They noticed another anomaly: whereas a number plate normally had two drill holes in it, this one had four. Peering in the windows, the officers spotted a thin white cord snaking from the front seat to the back, partially hidden under the carpet on the floor. A team of bomb disposal experts was summoned. They discovered nearly two hundred pounds of explosives packed beneath the rear seats. It was, in the assessment of one of the investigators, "a monstrous, tremendously powerful bomb." The interior of the Corsair reeked of explosives, and the timer, in its box, was audibly ticking. One of the bomb experts looked up and saw that the windows of the surrounding buildings were filled with the faces of people looking down, watching them work. "Get those stupid bastards away from the windows!" he shouted. One member of the bomb squad held the cord to the timing device while his partner gingerly severed it. It didn't blow. They had defused the bomb. Examining the position of the hour hand on the timer, the investigators deduced that it would have detonated at around 3 p.m., though it was hard to say for certain, because the minute hand on the clock had been removed. They realized two things immediately. One was that if there were other bombs hidden in the city, they had to find them before 3 p.m. The other was that the long fuse on the timer indicated that the bombers might be trying to flee the country before the blast. A bulletin was sent to Special Branch officers at every port and airport: CLOSE ENGLAND. Lock down all the exit points. Question any Irish people looking to leave. In trying to explain how the police had managed to be so far ahead of the bombers, British authorities would later make it sound as though they had simply been brilliantly lucky. But it was also suggested in the press that the police in London may have had prior notice that an attack was coming, and that it would involve more than one bomb. The Price sisters, for their part, would always believe that the operation had been betrayed by an informant. Hugh Feeney shared their suspicion, declaring later, "We were set up." They were right: decades after the bombing mission, a retired Special Branch officer would reveal that he had been tipped off fourteen hours before the bombs were set to blow, and that his source had been a senior member of the Provisionals. The officer knew in advance that there would be four bombs rather than six. He also knew that the bombing team would include a young Provo named Gerry Kelly and "two sisters named Price." Even so, as police fanned across central London in search of the other three bombs, the city looked like one big parking lot, completely clogged with stationary automobiles. They searched frantically for suspicious vehicles but, having no clue as to the rough locations, they were unable to locate any of the other cars. The bombs could literally be anywhere. Just before 2 p.m., the warning call was received at The Times, spelling out the locations and descriptions of the cars. But even then, there was a miscommunication within the police department, which caused a delay in getting officers to the scenes of the three remaining bombs. Martin Huckerby, the Times reporter, beat the police to the Cortina outside the Old Bailey by more than twenty minutes, and additional precious minutes ticked by before the bomb squad arrived and the officers began running into surrounding buildings to evacuate people. Inside the Old Bailey itself, several criminal trials were under way: a drug conspiracy case was wrapping up in one courtroom, a judge was addressing the jury for a murder trial in another. Someone burst into the courtrooms and told everyone to get out—a bomb was about to go off right outside the building. A pub called the George, which stood opposite the courthouse, was full of patrons nursing afternoon pints when somebody ran in and shouted that there was a bomb in the street. Some of the customers simply moved deeper into the pub, crowding the back parlor. But others looked out at the serene, sunny afternoon and, figuring this could only be a hoax, decided to stay put. London had not experienced any serious bombings since the Blitz, three decades earlier. It was as if people could not imagine the idea. Some gawkers pressed their faces against the glass to watch the bomb squad work. The technicians were trying to defuse the bomb, but without success, and the timer in the front seat kept ticking. As three o'clock approached, the police were still struggling to clear the area when a school bus rolled up, not fifty yards from the Cortina. Inside the bus were forty-nine schoolchildren, on a field trip to visit St. Paul's Cathedral. As the hand on the timer ticked toward three, the children began to disembark. Most of the bombing team were on a bus to Heathrow airport when the BBC put out a report about the first bomb being discovered and defused. The bombers did not hear the bulletin, so they arrived at the airport unaware that they were now the subject of a manhunt. As far as they knew, the mission was proceeding as planned and they were about to return unnoticed to Ireland. They arrived at Terminal 1, headed to Gate 4, and presented their tickets for the British European Airways flight to Dublin, which was scheduled to depart at 11:20. Several of the bombers had actually filed onto the airplane and taken their seats when officials entered the plane and instructed everyone to get off. Dolours, Marian, and Hugh Feeney were scheduled to take an Aer Lingus flight at 12:30. By the time they arrived at Heathrow, the rest of the team was supposed to be in the air. But when they entered the terminal, Special Branch officers were waiting. "Are you flying to Dublin?" one of the officers asked. "Would you mind coming with me?" "I don't intend to tell you anything," Marian Price said when she was questioned by a senior police officer. "You've no right to keep me here." She continued to stonewall, refusing to say a thing. It was already after 2 p.m., and the detectives knew they were running out of time. They pressed Marian about where the other bombs were, but she would not say. She wore a locket around her neck, and she kept putting it in her mouth and chewing on it anxiously. It suddenly occurred to the chief inspector who was interviewing her that the locket might contain some kind of poison, like a cyanide pill. He snatched it from her, only to see that it was a crucifix. His frustration growing, the inspector called her "an evil little maniac" and said she would not be seeing the sunshine again for some time. But Marian Price said nothing. There was something robotic, almost trancelike, about her demeanor, and that of her fellow bombers. The detectives began to wonder if they had undergone some instruction in how to resist interrogation. They would fix their eyes on an object and just stare at it, as if hypnotized, refusing to say a thing. Then, just before 3 p.m., Marian raised her wrist and looked pointedly at her watch. In a quiet fury, the chief inspector said, "Am I intended to gather that the timing on the other bombs has just expired?" In Whitehall, people were ambling back from lunchtime in the pleasant weather when the police finally discovered the Hillman Hunter parked in front of the army recruiting center. The officers stormed into the surrounding buildings, clearing everybody out. With five minutes to go before detonation, an explosives expert from the Royal Army Ordnance Corps broke a window and climbed into the car, then attempted to disarm the device. But there wasn't time now, and he scrambled out. Using a hook attached to a long line, he snagged the detonating cord connecting the timer to the explosives, then took cover around the corner of a building and started to pull. The resistance was significant, so he asked a sergeant who was with him for help. The two of them had just started pulling on the cord again when the timer's hand reached its terminus. The Hillman split apart, ripped open by a sheet of flame that rose forty feet in the air. There was a dull thud, and a reverberation so strong that it lifted people in the surrounding area clean off the pavement. Windows shattered in the offices and shops for a quarter mile around. The blast blew the helmets off the policemen's heads and sent tiny missiles of glass and metal whizzing in every direction. A sooty mushroom cloud rose above the street, and acrid smoke billowed among the buildings. A gas main ruptured, spewing more smoke and starting a blaze as firemen arrived and began dragging hoses through the carnage. People staggered about, dazed, their skin lacerated by glass. Dozens of cars were hollowed out and twisted up like crumpled paper. The clap of the blast echoed throughout central London. On Dean Stanley Street, authorities had just managed to find and dismantle the third bomb, in the Vauxhall Viva, in front of the British Forces Broadcasting Service building. But by the time police had identified the car at the Old Bailey, it was too late. An officer ran toward the school bus and shouted at the children who had just gotten off, telling them to run for their lives. They did, screaming and shouting, hurrying around a corner for cover. A police photographer was taking pictures of the car when suddenly he was hurled across the street. The blast was enormous. The façade of the George pub was torn away, exposing the lounge as if it were a room in a dollhouse. A police officer was evacuating jurors from the Old Bailey when the blast threw him twenty feet. Another policeman was riding by on his bicycle when he was hurled against a wall, the force of the blast ripping away his uniform. Martin Huckerby, the Times journalist, was cut on his face and hands and taken to St. Bartholomew's Hospital. People with blood running down their faces staggered through the smoke, trying to escape or to help others. But the whole vicinity of the explosion was consumed in a dense cloud of hot dust, making it difficult to see. The schoolchildren had managed to make it to safety, but injured victims lay sprawled out on the sidewalk. Everywhere there was a thick carpet of broken glass, swishing around people's feet, like sand at the beach. This sort of scene might have become commonplace in Northern Ireland, but it felt deeply jarring in London. To those witnesses who were old enough to remember, it was reminiscent of the Blitz. Between the two bombs that detonated, nearly 250 people were injured, and ambulances rushed in to deal with casualties. As luck would have it, there was not only a transit strike that week but also a strike of nonmedical workers at area hospitals. Even so, when they saw the bloodied patients being carried into emergency wards, the striking workers abandoned their picket lines and ran inside to help. Frederick Milton, a fifty-eight-year-old caretaker who worked at Hillgate House, right next to the Old Bailey, was covered in blood by the blast, but he resisted the call from medics to go to the hospital, insisting on helping other injured survivors. Milton collapsed a few hours later from a heart attack and died in the hospital. An autopsy subsequently revealed that his heart attack had actually started prior to the explosion, so the medical evidence did not support a charge of murder. Dolours Price would blame the casualties from the blast on British authorities, for moving too slowly after the telephone warnings to locate and defuse the bombs and to alert civilians. Other members of the bombing team took the same view. This was clearly a convenient excuse, and as a moral matter it was conspicuously disingenuous. But as a factual matter, Price was not altogether wrong. The police themselves admitted, in the aftermath of the attack, that "human error" in their control room had garbled the message about the Old Bailey bomb, significantly delaying their response. A British prosecutor would later speculate that the intention of the IRA mission was to kill people, and that it was no coincidence that the warning call had been made only after the gang had been arrested at the airport. He suggested that the warning was nothing but a selfish, last-minute bid to mitigate the severity of the punishment, once the IRA knew that their comrades had been captured. But however callous and incompetent the bombers were, it seems unlikely that their objective, when they journeyed to London, was mass slaughter. "If the intention was to kill people in London, it was quite easy to kill people in London, to kill civilians," Brendan Hughes said later. As with Bloody Friday, the London mission was envisaged as a symbolic, and ideally bloodless, attack. But powerful explosives leave no margin for serendipity, and the plan unraveled, with devastating results. Hughes was not particularly focused on the human toll of the bombs. What he regretted more acutely was not "burying" the bombers in England—letting them hide out in place, in or around London, to filter back home in ones and twos once the hysteria subsided. Instead, the IRA had tried to get them out as quickly as possible, a mistake that would have momentous consequences. From Heathrow, the members of the bombing team were transported to a nearby police station. Their clothing was stripped from their bodies so that it could be forensically tested for residue of explosives. Dolours Price was photographed naked. When they were offered prison uniforms, some of the team accepted them. But the Price sisters and several others refused. This was a republican principle: they thought of themselves not as criminals but as captured soldiers from a legitimate army—as political prisoners. Given this distinction, they would not accept the prison scrubs of the ordinary criminal. Dolours and Marian draped rough prison blankets over their bodies. Hugh Feeney refused even a blanket and stood in his cell, brazenly naked. The prisoners were all separated, but at one point Dolours and Marian crossed paths briefly in an interview room, and Dolours hissed at her sister, "Don't say a word."